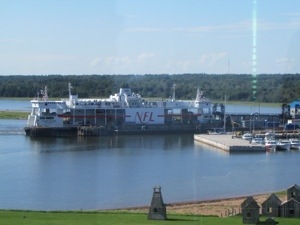 Well, sadly we left Summerside with a rather ungraceful exit yesterday. We didn’t hit anyone, but it was hard getting off the dock. The wind had died down considerably so we felt that we could leave. The minute we left the dock, it picked up to 15 knots and it became a bit of a dicey situation with everyone poking their noses out of their boats to see who we would hit. Dennis managed to get the boat under control and decided to back out of the marina (kind of like taking an exit bow) and off we went to Port Borden. We sailed, literally sailed, under Confederation Bridge and actually took a turn under it because it appeared that we had caught a lobster trap. Luckily, when we turned around, it fell off and we were able to continue. The second lobster season began on August 9th so you really have to be careful and make sure you dodge the little floating buoys. 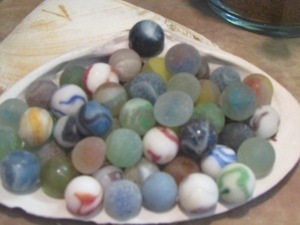 We were pretty lucky, generally speaking, and only caught the one. If a line caught in the propellor, it would require Dennis to dive down with his knife and cut the line. Of course, during the little episode we had, he mentioned that it was my turn to dive but I could do it in Port Borden – the place that has the mussel factory and dumps the overflow into the harbour (very smelly and the water is full of lovely beige specks as well as foam). Anyway, I didn’t have to dive as we lost the trap under the bridge! 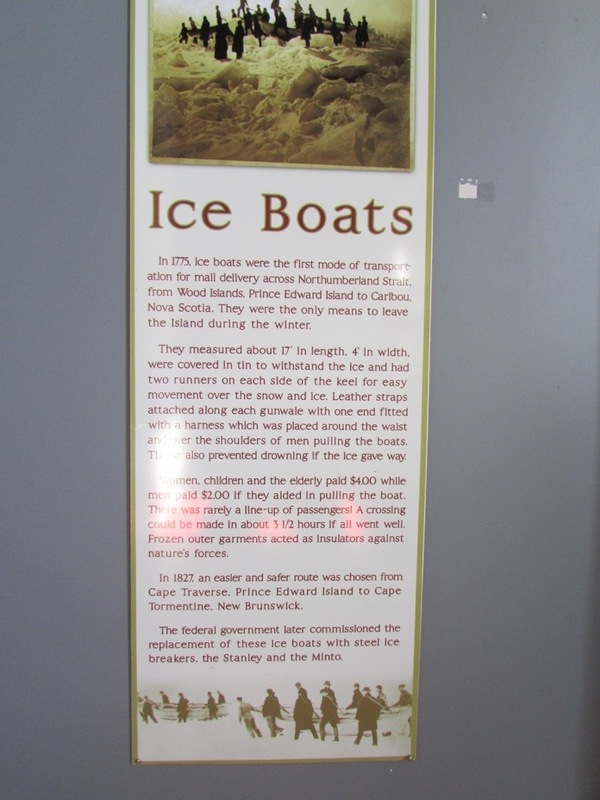 I also took a picture of the information about the ice boats. 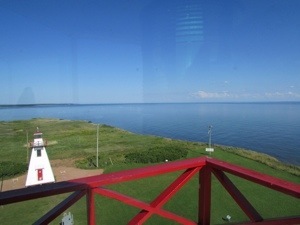 I can’t imagine going across the Northumberland Strait in one of those boats! 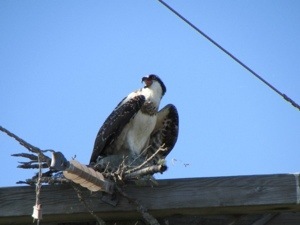 We also walked over to the osprey nest and it appears that one osprey is missing. 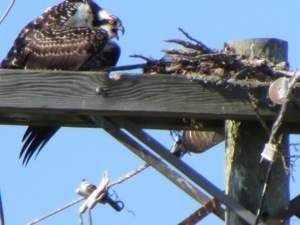 As well, they are foolishly building another nest right on top of an active telephone pole, so PEI Hydro is not going to like that! We had the lobster rolls for supper from Crabby’s Seafood. They were excellent! 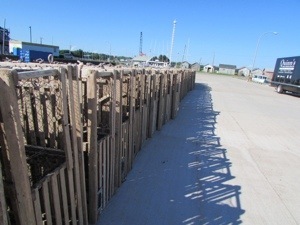 Here is one last picture of some lobster traps on the wharf. 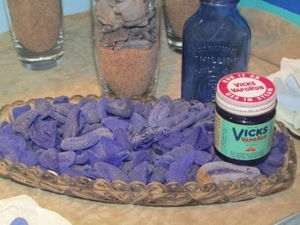 Off to Montague tomorrow for a couple of days.